Indian President Ram Nath Kovind’s visit to Arunachal Pradesh. (TibetanReview.net, Nov22, 2017) – Saying Sino-India relations were at a “crucial moment” and that New Delhi should not complicate the dispute, China on Nov 20 strongly criticised Indian President Ram Nath Kovind’s visit to Arunachal Pradesh the day before. China calls the Indian state a disputed territory, claiming it is actually a part of Southern Tibet. “The Chinese government has never recognized the so-called ‘Arunachal Pradesh’,” China’s official Xinhua news agency Nov 20 quoted Foreign Ministry spokesperson Lu Kang as saying at a daily press briefing when asked about the visit. She has called on India to refrain from moves that complicate boundary issues, and work with China to create conditions for talks. Stressing that China-India ties were at an important stage for development, Lu has said China hoped India could work with it to protect the overall relationship, refrain from moves that complicate boundary issues, and create favorable conditions for talks and the healthy development of bilateral ties. Establishing China’s claim in a greater detail than before, the Xinhua report said “the so-called Arunachal Pradesh” was established largely on three areas of “China’s Tibet” – Monyul, Loyul and Lower Tsayul – which it claimed were currently under “India’s illegal occupation”. “These three areas, located between the illegal ‘McMahon Line’ and the traditional customary boundary between China and India, have always been Chinese territory,” the report insisted. 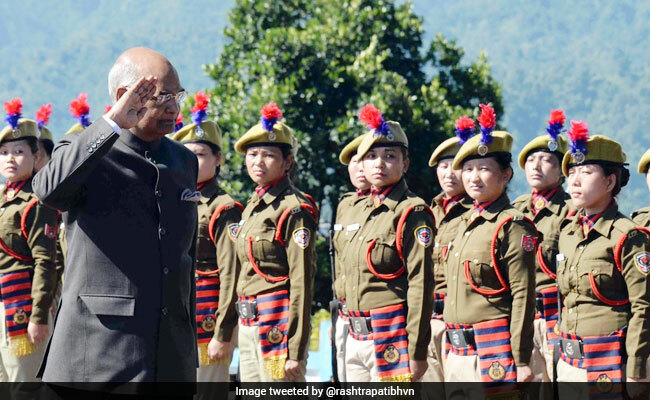 President Kovind’s visit came only days after India’s Defense Minister Ms Nirmala Sitharaman visited Arunachal Pradesh to inspect defense preparedness. She dismissed China’s protests against her visit as not worth being taken note of. The Indian President addressed the valedictory function of the completion of 40 years of Vivekananda Kendra Vidyalayas (VKVs) school system in Arunachal Pradesh on the Indira Gandhi Park. “If northeast is the crown of this country, Arunachal Pradesh is the jewel in the crown”, aliveforfootball.com Nov 20 quoted Kovind as saying while quoting the presence of mythological imprints in the state. The state’s Governor Dr B D Mishra, who also addressed the function, commended the Vivekananda Kendra’s mission of selfless service to society in the state in the fields of education and cleanliness, particularly in hard areas, like Changlang, Tirap and Longding, said the aliveforfootball.com report.